Grosvenor Shirts, famous for manufacturing and retailing its own British made shirts, are now hosting a sale with up to 50% off both at their flagship store, which is located in Jermyn Street and also online where you can purchase 24/7. The sale includes selected items from the menswear, womenswear, accessories and boys clothing departments with the made to measure service also having a sale. Have you ever wondered how British shirts were made and who actually makes them? We at Grosvenor Shirts are giving you an insight on the process of how shirts are manufactured, we will highlight the steps required to manufacture our very own British made products. Porters Factory Building was built in 1865 and is known worldwide for its heritage in manufacturing British made shirts, it is also the home of Grosvenor Shirts where we design and continue the tradition of creating all of our luxury shirts, boxer shorts and pyjamas. 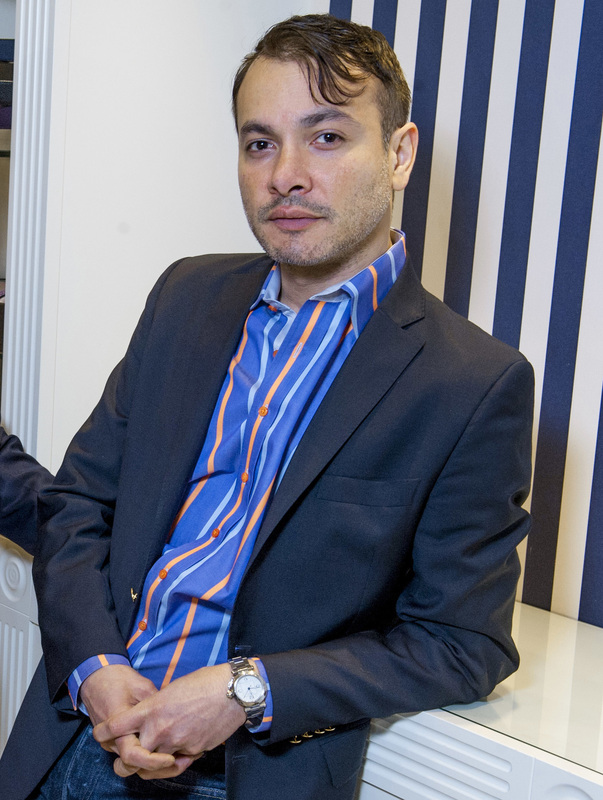 We caught up with Grosvenor’s Design Director Juan Credidio to talk about the new season and surprises for SS15. What can we expect from Grosvenor this season? 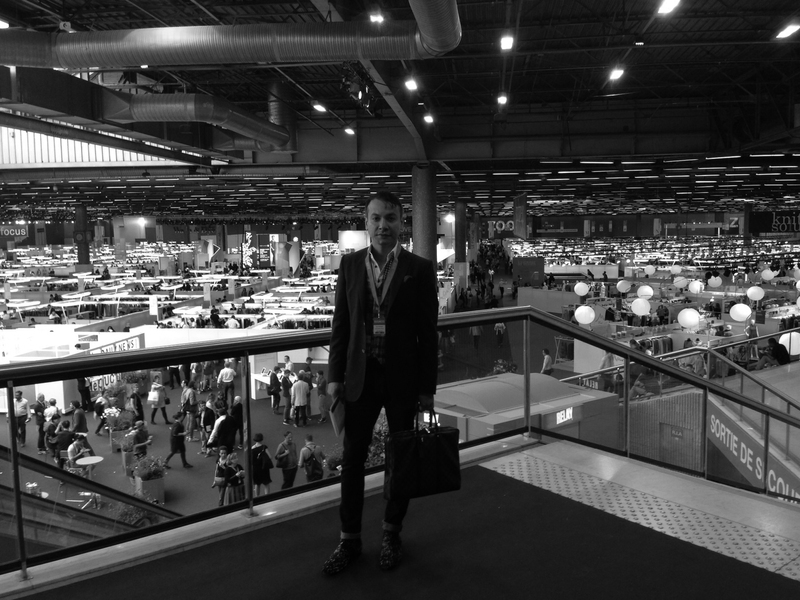 We are so pleased with the success of the Grosvenor Blazer, the response has been amazing in London and internationally. For Spring – Summer we will be launching 4 new colours of our Signature Blazers. 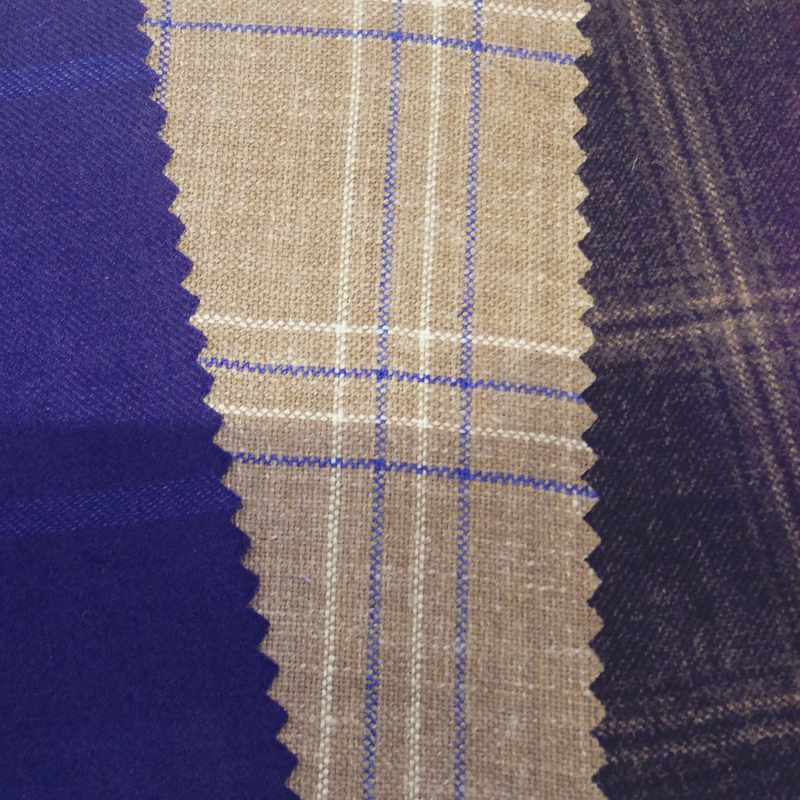 Stunning and luxurious checked fabrics that we hope will be a big hit with the Grosvenor man. What are you favourite pieces? I love the nautical looks for Spring, wonderful transitional pieces that I personally will be wearing. We have some great shirts that fall into this trend in plains and prints. Are there any surprises in the new collection? Yes there are some that will give our customers more choice and attract a younger man to our shirts. This season we are introducing our Sports Collection, 15 pieces that stand out as a step in a new direction for us. This collection is more casual with a slimmer fit and details like military inspired shoulder lapels. The new SS15 collection from Grosvenor will be in store and online soon. To be the first to hear sign up to our newsletter here. What shirt from AW14 do you feel is the most versatile? The Signature collection is by far the most versatile, with the subtle details inside the collar, under the cuffs and under the front placket, these can be worn formal with a tie as well as casual with some interest. If you had to pick 3 accessories from AW14, what would they be and why? 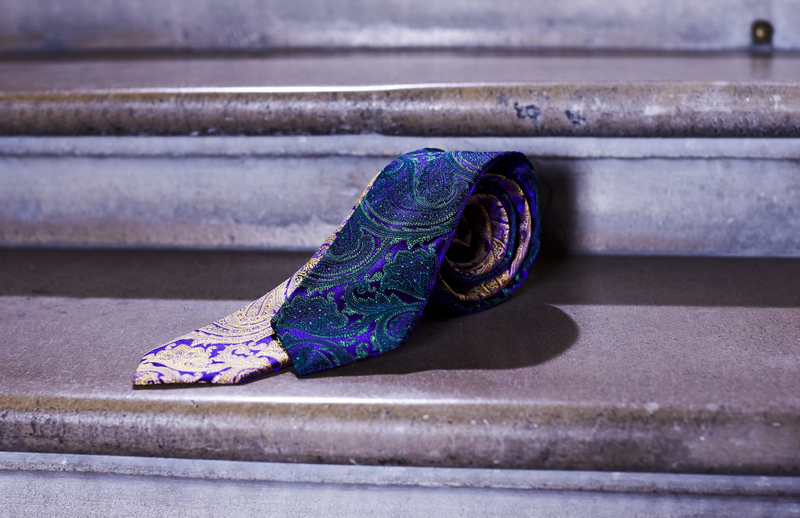 I really love the new tie range for Autumn, we work with Vanners (silk weavers) in Sudbury England, and in particular the paisley is my favorite. The new pocket squares are really great, we have 6 monotone shades that have just arrived and will be in store next week. I know is still very warm, but I am really excited about the new scarves for this autumn, we have lightweight options and cashmere from Scotland. How far ahead do you work on seasons and how do you start to work on a new collection? I work one year in advance, the majority of our cloth is exclusive to us and woven in the 2-fold 100’s Royal Twill, I start designing the cloth 12 months ahead. We have a wholesale collection, so the range needs to be ready to show 6 months before delivery. The same would apply to all of the accessories, ties, silk hanks, belts etc. I am currently working on AW 15. What is your favorite look from Grosvenor AW14? 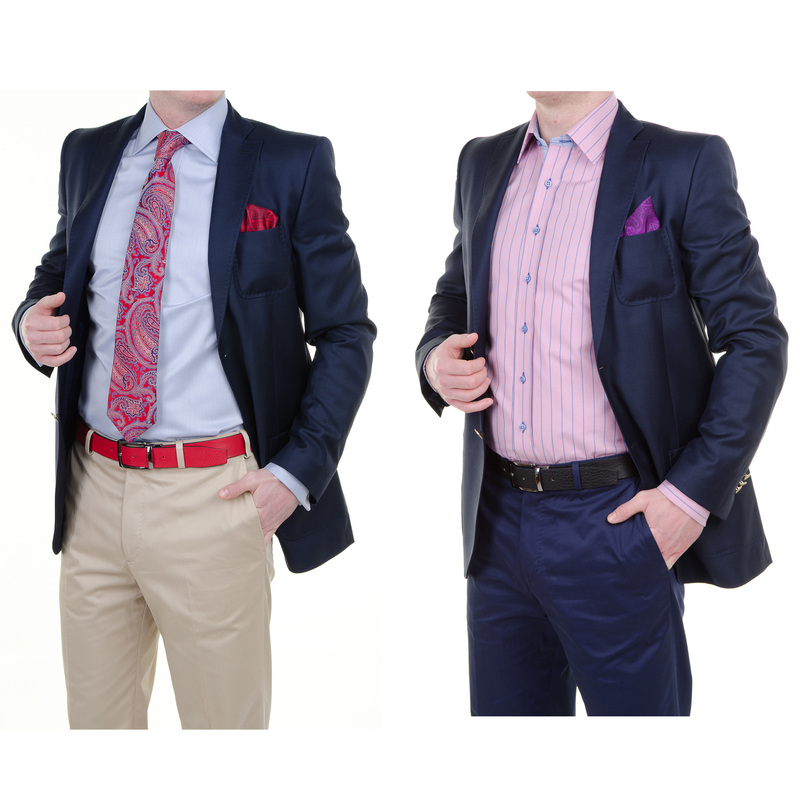 My favorite look would be the full outfit; we have just added chinos and blazers to the collection. The chinos are made in lightweight 100% cotton that has a great luxurious finish on the cloth, the blazer is a wonderful shade of navy and made in Super 110’s fine wool. Teaming the chino and blazer with a great casual shirt and adding a pocket square makes a great look. I have always been interested in fashion, even from a young age, in Panama I had the nick name “Fashion” because I always spend so much time and money on the way I dressed. I have a great interest, not only in the fashion industry but I also love interior design and visual merchandising. I can get inspiration in many ways, it can come from visiting cities and observing the way people dress. I do not have a style icon in particular; I like to take influence from many areas. Coming from Central America, I am not afraid to inject some colour into the collection, but this is always combined with classic styles and shapes. We are delighted to announce that Grosvenor Shirts has been granted a Royal Warrant to Her Majesty The Queen. Grosvenor is proud to be British and celebrate the rise of Britannia. 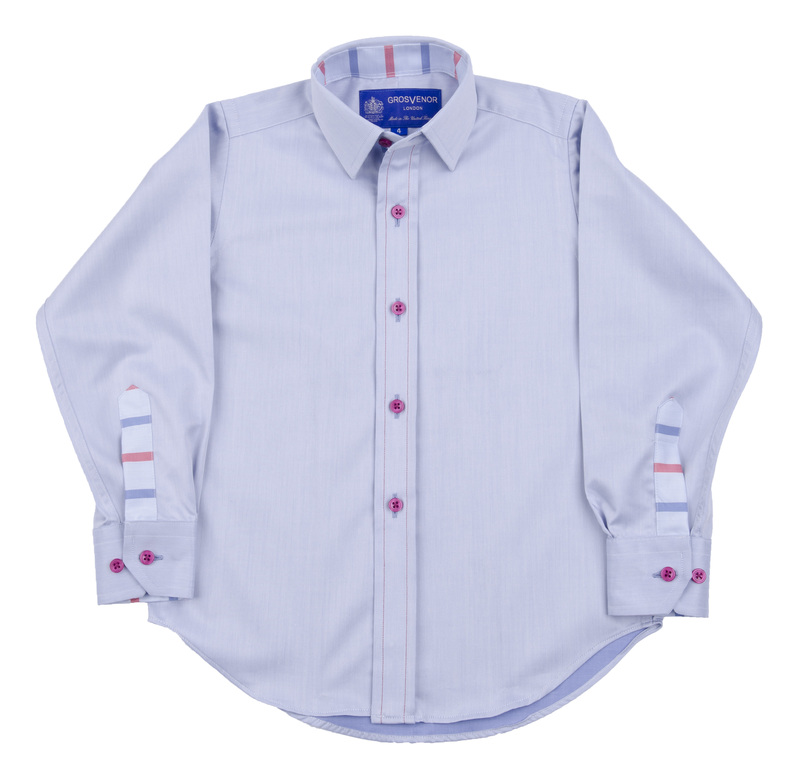 Our collections are designed in London and fashioned in our own shirt-making factory in Strabane, Northern Ireland. Skilled craftsmen and women use a mix of traditional techniques to hand cut and finish every garment, combined with new advances in textile technology. The remainder, which includes the exclusive, luxurious Royal Twill cloth, is produced in partnership with European artisans. Karl Dunkley, Grosvenor founder says “We are extremely thrilled to receive such a prestigious mark of recognition and are honoured to supply HM The Queen. This exciting new leads our announcements for 2013 which include a the new collections and further expansion”.